Kelvin Gastelum's skin issues did not go unnoticed on fight week. Gastelum didn't end up making it to the Octagon on Saturday night as emergency hernia surgery for Robert Whittaker meant that the scheduled main event of UFC 234 had to called off at the last minute. Gastelum didn't get the chance to fight for the UFC middleweight title but he was probably better off because it was entirely likely that he wouldn't have competed at 100 per cent given the medical issues he admitted to in the lead-up to last weekend. Some marks on Gastelum's skin were acknowledged by several fighters and the American admitted that he had been suffering with a staph infection in Melbourne but remained determined to fight. UFC welterweight Colby Covington was the first to point it out, prompting questions about how a fighter would be cleared to fight with such medical issues. After learning that he would no longer be competing in Melbourne, Gastelum pulled an interesting move by deciding to attend UFC 234 with a UFC championship belt - believed to be Henry Cejudo's 125lbs belt - over his shoulder. Gastelum confidently declared himself the true middleweight champion, pointing out that competitors would forfeit the contest if they failed to show up in his old wrestling days. 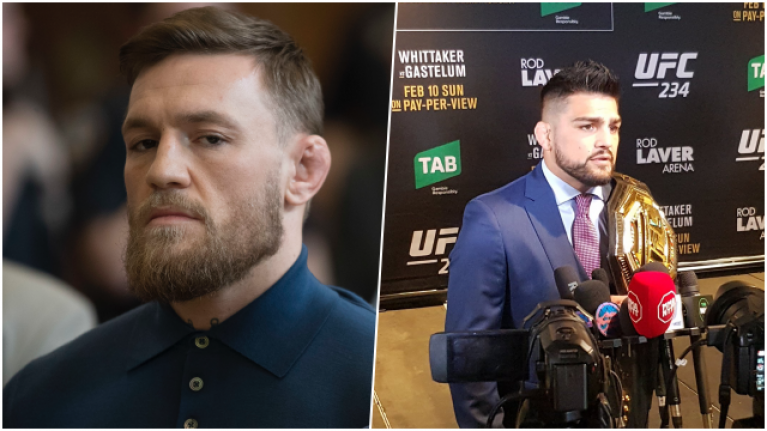 His ploy didn't sit well with Conor McGregor, who was watching from home and didn't take kindly to a fighter who was willing to enter the Octagon with staph infection. The former UFC featherweight and lightweight champion referred to Gastelum as a "worm" and claimed that he shouldn't be allowed in the vicinity of UFC fans with his infection, let alone cleared to fight. 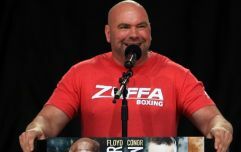 McGregor was far more complimentary towards another middleweight competing on Saturday night as he applauded the efforts of former 185lbs king Anderson Silva, whose clash with Israel Adesanya was moved to the main event following Whittaker's withdrawal. Silva came up short in a unanimous decision but his performance was praised by 'The Notorious'.